There are thousands of marketing technologies in use today, but only 4 applications that are absolutely essential for digital transformation. According to Forrester, the 4th application has moved to the heart of enterprise marketing, but can only be found about 35% of the time. 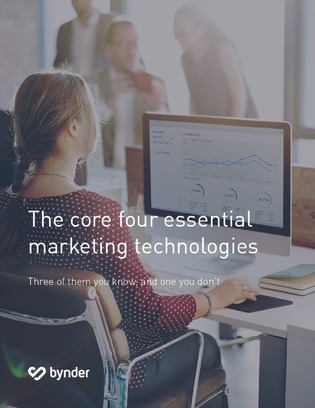 Download this white paper now to discover the missing ingredient to your marketing success, and explore overall considerations for choosing the right technology for your marketing organization.